When investing in learning the value of a fine instrument, be certain to take it to a violin shop with a reputation as fine instrument appraisers. Knowing the value of a fine violin can be difficult without the eye of an expert. Whether you are looking to settle an estate, resell privately or obtain insurance coverage for an instrument, it is necessary to have the written documentation of an expert’s appraisal. Many informed considerations are made when an appraiser assesses an instrument, and the work of appraising fine violins should be left to an expert. This rule is equally true for fine cellos and violas. 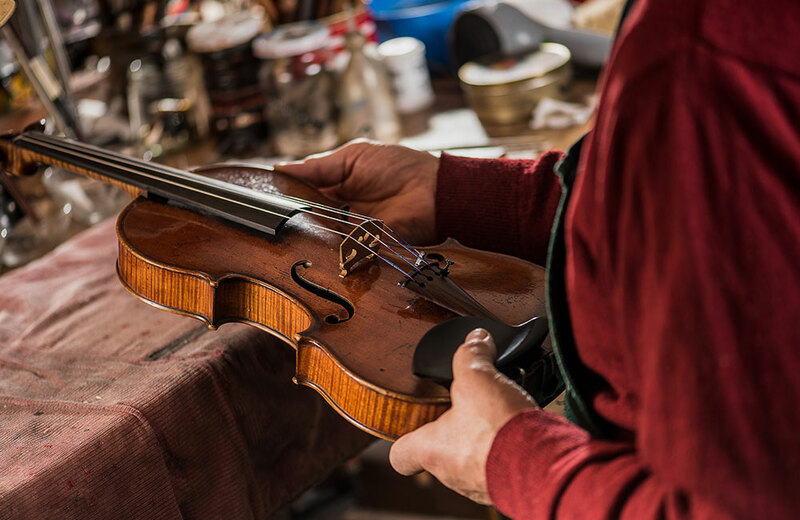 Appraisers (typically an esteemed and accomplished violinmaker) need to figure out the maker of the instrument through details of the workmanship, model and materials, as the label often does not tell enough information to determine the true maker. If the instrument maker is still living, it is sometimes advantageous to have it examined and certified by the original maker. Another major factor in assessing the value of a fine violin is the time and place that the instrument was made. Violins crafted by the old masters of 18th Century Italy are certainly worth the most. To attend to the many notable musicians of the time, many notable violin shops in 19th-Century Paris produced instruments that remain highly sought after. Of course, the condition of the instrument must also be determined, such as how well the instrument has been preserved and the quality of any repairs it has undergone in its lifetime. The tone and playability of the instrument, however subjective they may be, are also considered.